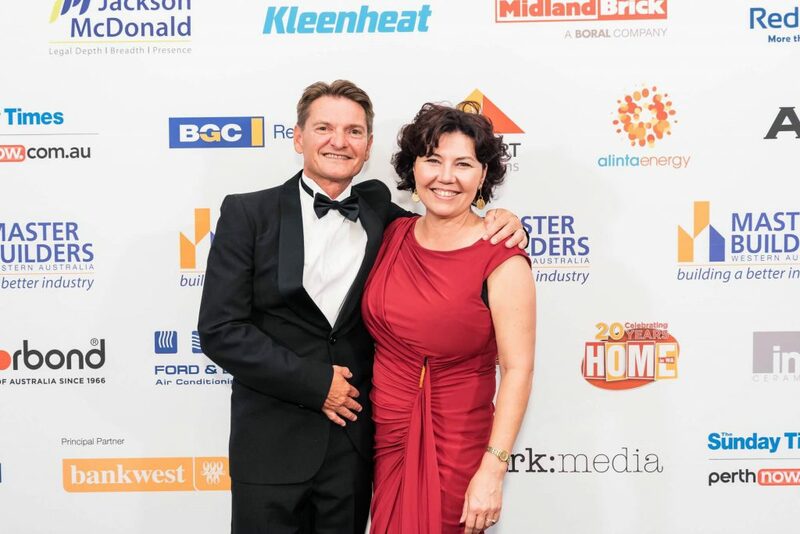 The spotlight was on some of Western Australia’s most beautiful homes at the Master Builders Housing Excellence Awards 2019. Over 700 building and construction industry representatives traded in their hard hats and tools for ballgowns and suits at a gala event at the Crown Towers Grand Ballroom on Saturday 23 February. Enjoying an evening of fine food and entertainment, attendees recognised the best in the business as awards were handed out in categories such as Top WA Home, Best Country Home and Best New Builder. Hosted by the Master Builders Association of Western Australia, the awards celebrates exceptional craftsmanship and rewards the industry’s commitment to building excellence and upholding the highest professional standards. As a WA born and bred energy company, Kleenheat was proud to once again support this annual industry awards night, while also providing reliable energy solutions for businesses within the local building industry. Kleenheat Channel Sales Manager Darren Hodges presented an award at the event and said it was a pleasure to get behind an initiative celebrating other WA businesses. “We have over 60 years of experience looking after the energy needs of the WA community, and proudly support many WA businesses and homes,” Darren said. The WA winners will now compete against the best of other states and territories at the Master Builders national awards at Uluru on November 23. View the full list of finalists and winners here.